Here at Cesar’s Concrete, we say that we want to re-imagine your concrete project by thinking outside the box. Often, people go online searching for “concrete contractor near me” or “Windsor concrete services” on their smartphones and they are looking for a quality contractor who isn’t going to cost and arm and a leg, but will do a great job on their concrete project. We are pleased to inform you that you don’t have to search any longer. Based out of Johnstown, Cesar’s Concrete works with homeowners and business owners on any concrete flatwork project (driveways, sidewalks, patios, and more). If you live outside of Johnstown, we also serve the surrounding cities like Fort Collins, Windsor, Berthoud, Loveland, and Longmont. If you are in the Johnstown area and are looking for a local concrete company to repair, replace, or build a driveway, we’ve got you covered at Cesar’s Concrete. We provide our 20 years of expertise in assisting you to decide what design of driveway works best for you, offering a free, no-obligation quote. 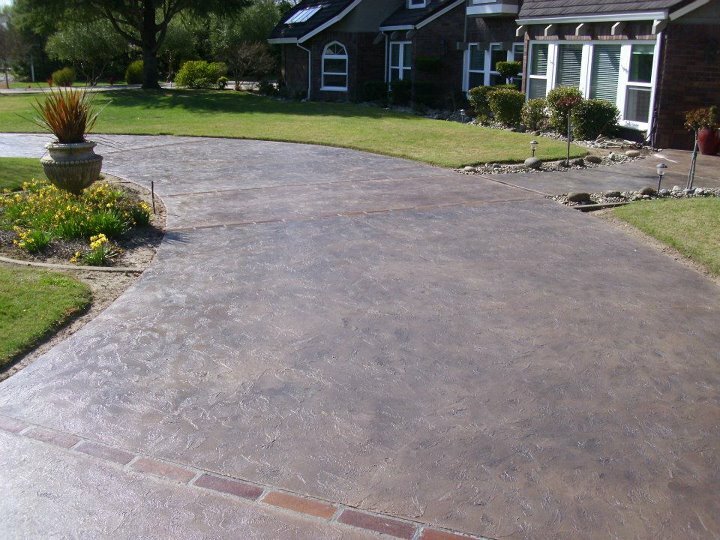 With a friendly, professional, and experienced staff coupled with the use of high grade materials and thorough prep work, we are confident that you will love that way your new driveway looks. In addition to working on driveways, we offer a wide variety of concrete walkway and sidewalk services for less than a lot of the local competitors. Cesar’s concrete is Johnstown’s top choice for residential and commercial concrete walkway work. 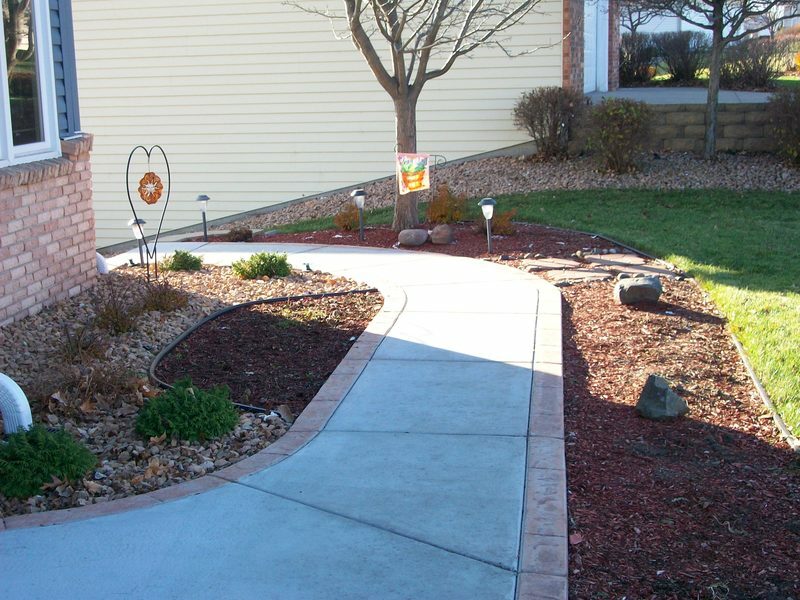 We do our best to bring your vision to life and offer our help and assistance using our experience from the previous walkways and sidewalk projects that we have completed. Get in touch with us today to get your free quote and schedule your no-obligation consultation with our local concrete company. One of our bread and butter services is concrete patios. With years of experience in the industry, and a wide range of styles and designs that we can tailor for your home or commercial property, we feel confident that you will love your new concrete patio to enjoy our sunny Colorado weather on. In addition to repairing or replacing concrete patios, we have even gone above and beyond the status-quo and built pergolas for our clients. Satisfied customers are our top priority. We look forward to hearing from you to discuss your concrete patio project and get you your free quote. Cesar’s Concrete is proud to offer Johnstown our unique experience in turning concrete into a unique and colorful design with our stamped and colored concrete services. With stamped concrete, we can imitate a wide variety of stone including slate, flagstone, cobblestone, sandstone and granite. The benefit is that concrete is often more durable and affordable than traditional methods, but you can still get the amazing look. Combine that with our colored concrete selection and there are almost a limitless amount of options that we will have to help match your Johnstown home to the exact right color and design for your concrete project. 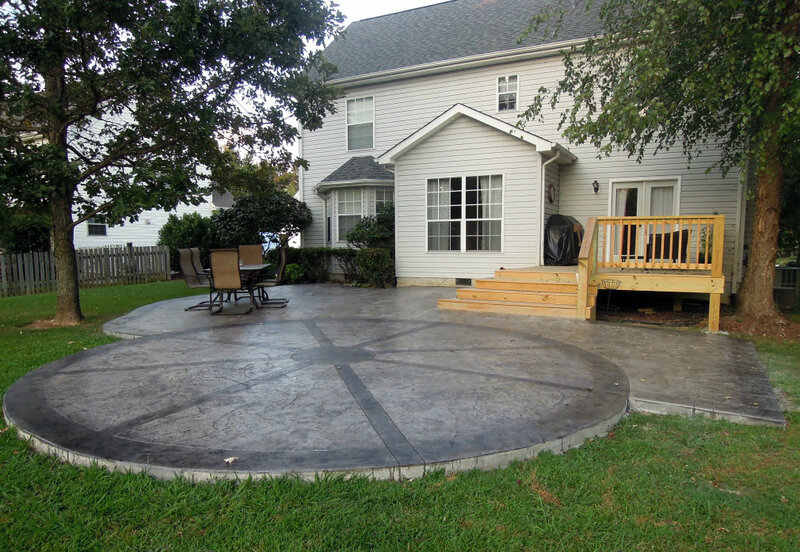 We are the Johnstown stamped concrete contractor of choice for good reason. Many people find us by typing into their smartphones “concrete contractor near me” or “concrete services near me”. We are based in Johnstown, so it will be a short drive for us to stop by and provide a no-obligation, free consultation. If you live near johnstown, it is not an issue for us to drive over and offer you our free expertise and a quote. By now you know some of our services, and we would love the opportunity to hear from you and show you why so many of our clients come through to us via referrals. We combine affordability and quality in an exceptional way, so reach out to us today to get your free estimate!